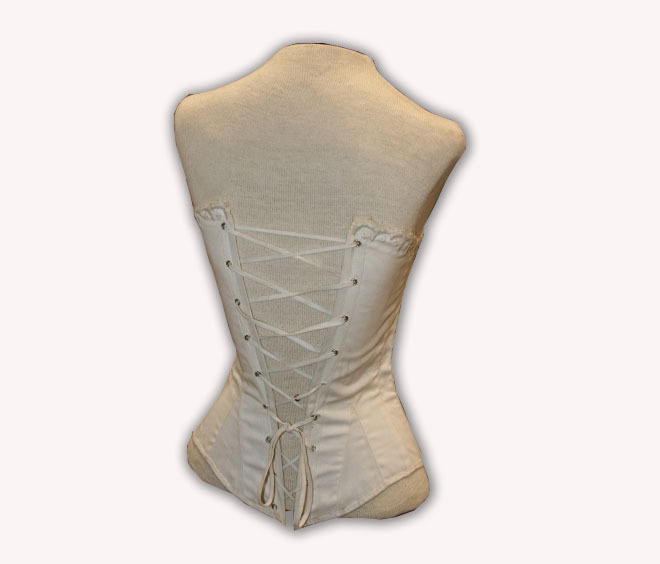 This corset is made up in white cotton coutil and it features a hand embroidered top edge. This corset will fit up to these measurments! Please double check your measurments before ordering! This item is a shop sample and is slightly shop worn. Three of the grommets in the back have come out but can be easily replaced at home.